Where did all the features go? 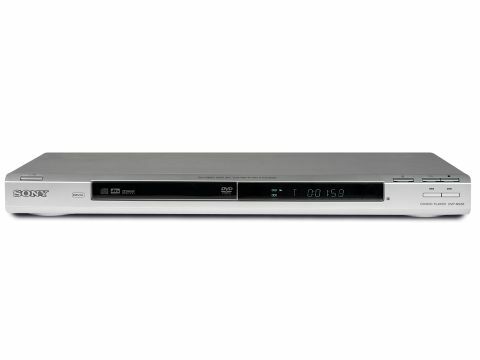 While capable of producing some of the finest performing DVD players around, Sony hasn't tended to look as comfortable at the ultra-budget end of the market as some of its rivals. So it doesn't come as any great surprise then to discover that, while far from the cheapest deck around, Sony's tiny and slightly dour-looking DVP-NS36 is poorly specified. Even the most cursory glance at its rear end convinces us of this, as we find only a Scart socket, a digital audio output, a composite video output and a stereo audio output. There's no digital video output for pristine standard definition or, more importantly, upscaled high-definition output - and there's no component video output for a progressive scan signal. In fact, there's not even a four-pin S-video option - something we'd even expect £30 supermarket decks to provide. Of course, this isn't to say that there's not a market for the NS36. We know full well that there are plenty of folk out there still using old CRT TVs that don't have component or HDMI connectivity, and for whom a good RGB Scart feed is all that's required. But at the same time we can't just ignore the fact that all the other players in this range do offer progressive scan, with two additionally adding HD upscaling, for more or less the same money. The DVP-NS36 is at least not completely devoid of features, however, as we find one or two tucked away in its onscreen menus. For instance, there's a series of different image presets, plus a slot where you can save your own picture preferences, while adjustments to colour, brightness, hue, sharpness and contrast are all catered for. Using the DVP-NS36 is a reasonably pleasant experience thanks to colourful, straightforward onscreen menus and an unusually spacious and ergonomic remote control. Our only gripe is that you can't access the player's setup mode without first manually stopping disc playback. Happily, what the NS36 lacks in features it makes up for with picture quality. Two talents in particular stand out. The first is the lack of MPEG noise in the picture, as the deck does a terrific job of suppressing the telltale blocking and twitching. In fact, its pictures are arguably the most stable and smooth in its class, with even bland backdrops looking free of the colour striping and dot noise that gives lesser decks away. The NS36's other key skill is the richness of its colours. Hues across the spectrum look unusually vibrant, further enhancing the sense of cinematic solidity established by the lack of MPEG noise. There's a touch of colour noise in some particularly vibrant shots, but this seems like a minor trade-off compared with the vividness on offer. Impressively deep and subtly detailed black levels provide a great foundation for these colours, too, and the deck's recovery of fine detail from a DVD is such that its images look sharper and crisper than we'd ever have expected them to, considering they're not being progressively scanned or upscaled.